Amer specialises in monitoring, evaluation, and participatory planning and research approaches, with extensive experience in food security analysis, livelihood and poverty assessments, and market systems development. 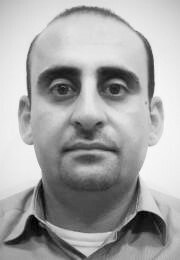 He has over 13 years’ experience as a consultant in the West Bank, OPT through the Al-Sahel Company for Institutional Development and Communication, which he co-founded and now serves as its Chief Executive. He is also an INTRAC Associate. a women’s empowerment programme through women-run school canteens, implemented by UN Women in partnership with the Palestinian Ministry of Education and local NGOs with funding from the Government of Norway (2009, 2012 and 2015). a women’s leadership project of the Palestinian Centre for Peace and Democracy and Kvinna Till Kvinna (2010). a project promoting youth participation and empowerment by Movemiento por de la Paz funded by the Spanish Agency for International Cooperation for Development (2008). an organisational performance of Addameer – Prisoners’ Support and Human Rights Association (2007). the core programme of the Jerusalem Legal Aid and Human Rights Centre (2007). the Stop the Wall campaign (2007). Amer has also worked as programme management officer for the UNDP (2001-5) and administrative officer on the human rights project of UNRWA (2000-1).